Dinah is the daugther of Ivetta holocaust survivor from Macedonia. This will be her first novel. She is a marketing specialist. Her mother Ivetta Konforti, is actually 80 years old, her grand-parents passed away while they were living in Sao Paulo, Brazil. Her goal is to present this novel about their story during the Holocaust, next October 2016. In 2011, she reconnected with the sucessors of the muslims families that shelter her family, and last year, she had the most amazing experience meeting them in Kosovo. This novel is about Yugoslavian Jews that fougth to survive, it is about the Muslim families taht sheltered them during the war, risking their lives, and about how years later, there was an opportunity to help them back. It is about the decision of their sucessors to reconnect and meet face to face, last year in Macedonia, Albania and Kosovo. This is an Holocaust story, were the characters are real, written in a friendly language, keeping the attraction of the reader during the whole book. Join them throgh this amazing journey, were danger was spiced with the flavours and aromas of one of the most traditional and delicious balkanic cuisine. A short time after the recording of this video, Dinah receives an e-mail. She doesn't know the person sending this message from across the ocean, but with a glance at the subject she knows, with a strange certainty, that she can no longer refrain from searching, inquiring and knowing the entire story of her family. The path she will begin to discover is the journey of this book. This story has several elements which combine and converge as would in a recipe well scripted: the smells and flavors of a childhood, chance which triggers success stories which cannot be random, the desire to know where we come from and the silence of untold stories which are too painful to be recounted. But which eventually have to be shared and come to the limelight. The story develops in two levels: Dinah takes off on a journey to the place where over seventy years ago her family had to flee to survive. Macedonia, Kosovo and Albania are some of the locations of her adventure. Success! ESCAPE FROM THE BALKANS - ESCAPE DE LOS BALCANES sold 30 pre-orders by April 27, 2016, was pitched to 9 publishers, and will be self published. You can choose from the spanish or english version of the book. Al elegir esta opción, además del libro impreso y del ebook, recibirás un Certificado Digital, firmado por el autor, como reconocimiento de tu compromiso y esfuerzo, en mantener la memoria del Holocausto para las futuras generaciones. Puedes elegir recibir el libro en español o ingles. When you support this book, in addittion of a paperback copy of the book, and ebook you will receive an ebook and a Digital Certificate, signed by the author, acknowledging your compromise and effort, to keep the Holocaust memory for the new generations. When you support this book, in addittion of a printed paperback copy of the book, and ebook you will receive a Digital Certificate, signed by the author, acknowledging your compromise and effort, to keep the Holocaust memory for the new generations. When you support this book, in addittion of 2 printed paperback copy of the book, and ebook you will receive a Digital Certificate, signed by the author, acknowledging your compromise and effort, to keep the Holocaust memory for the new generations. Al elegir esta opción, además de 2 libros impresos y del ebook, recibirás un Certificado Digital, firmado por el autor, como reconocimiento de tu compromiso y esfuerzo, en mantener la memoria del Holocausto para las futuras generaciones. For those people that will select this option, there will be a special acknowledgements on the book,in addittion of 2 printed paperback copy of the book, and ebook you will receive a Digital Certificate, signed by the author, acknowledging your compromise and effort, to keep the Holocaust memory for the new generations. Al elegir esta opción, habrá un reconocimiento en el libro además de 2 copias impresas y del ebook, recibirás un Certificado Digital, firmado por el autor, como reconocimiento de tu compromiso y esfuerzo, en mantener la memoria del Holocausto para las futuras generaciones. For those people that will select this option, there will be a special acknowledgements on the book,in addittion of 3 printed paperback copy of the book, and ebook you will receive a Digital Certificate, signed by the author, acknowledging your compromise and effort, to keep the Holocaust memory for the new generations. Al elegir esta opción, habrá un reconocimiento en el libro además de 3 copias impresas y del ebook, recibirás un Certificado Digital, firmado por el autor, como reconocimiento de tu compromiso y esfuerzo, en mantener la memoria del Holocausto para las futuras generaciones. It is said that in every survivor’s family, one child is unconsciously chosen to be a “memorial candle,” to carry on the mourning and to dedicate his or her life to the memory of the Holocaust.That child takes part in the parents’ emotional world, assumes the burden, and becomes the link between past and future. Somehow, this did not happen in my family. I realize now that my mother and grand-parents, decided not to talk about what happened to them, how dangerous was their journey or how painfull it was to survive. We never travel to the places they were hidden, neither the city where they were born, even if we were several times only hundred if kilometers away. But you cannot escape from your destiny, and I decided to be the “memorial candle” of my family. Since 2011 I recorded the survivors of my family, narrating their journey to freedom. This is the story of those who were pursuit and the Muslims who sheltered them, revealing an other view of the holocaust emerging after the fall of an isolationist communist regime, in the Balkans and pays tribute to ordinary people that saved Jews, acting within their true Muslim faith, taking responsibility for the lives of others in their time of need. Many years after the tragedy of the holocaust in the Balkans, a video and an email trigger a set of questions and coincidences. This generates in Dinah the desire to learn more about the history of her family. The two women talk. The memories of those difficult years of uncertainties and fear overwhelms them like a storm. One mentions thunder in the night and the other says those were machine-gun fire. The sounds of that cow in the backyard, the weight of the coins sewn in her undergarment and of the humid cold of the mountains they had to cross in order to escape. Someone records this conversation. Dinah does not want to miss not even one word, not even one phrase. She wants to know, learn exactly what occurred, she doesn't want future generations to forget this story. She begins to understand so many things, to decipher memories that appeared confusing, to smell her grandmother's recipes, her silent way of remembering without words and strongly holding on to the past. The plot in parallel tells us of the lives of the Jew Konforti family between the years of 1940 and 1944. When they realize that they must flee and they begin their difficult journey through a zone devastated by war. Years of trying to decipher what would occur, of guessing what is the next step they should take, of escaping deportations and others turning them in. They must leave always, to an inaccessible place. It is also the story of the nobel persons who risked their lives and that of their families to help them and fight against this injustice. As a backdrop, a desolate land harmed countless times (the Balkans), is the stage where the characters live, suffer, hide and help each other throughout the novel. From a bombarded Skopje to a village in Kosova, to Albania under Italian command, then the German invasion and lastly an incredible journey through the mountains and forest where the battle took place between communist partisans and defeated Nazis but non-the-less bloodthirsty. A true story, recreated with the intensity of a novel. This is a different book of the Holocaust stories. It is about the macedonian jews survivors, it is also about their muslim friends that sheltered and hide them from the nazis, but also as important is that it tells the story about how, descendant of survivors and savers, decided 70 years after the end of the War to meet each other, what happened last year. I am the one that choose to meet them. 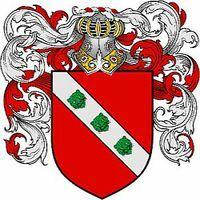 I have been there, I have been received in theit home, as a part of their family. I eat and found my grandma recipes, aromas and flavours. There, where she was grown and learn how to cook, in her Macedonia. I decided to tell hard facts in a novel style instead of a documentary. This is the way I think future generations, can decide to buy and read a book about the Holocaust,one involving adventure, love, mystery and drama. A History of Jews in Albania - This book documents what happened in Albania during World War Ii when no Jews were given up to the holocaust even though Albania was occupied by Nazi Germany. Survivors: True Stories of Children in the Holocaust - Some made daring escapes into the unknown, others disguised their true identities, and many witnessed unimaginable horrors. But what they all shared was the unshakable belief in-- and hope for-- survival.Their legacy of courage in the face of hatred will move you, captivate you, and, ultimately, inspire you. Five Chimneys: A Woman Survivor's True Story of Auschwitz - This true, documented chronicle is the intimate, day-to-day record of a beautiful woman who survived the nightmare of Auschwitz and Birchenau. I Have Lived A Thousand Years: Growing Up In The Holocaust - Livia Bitton-Jackson describes how her young life was transformed by her experiences, from suspension from school to surviving the horrors of Auschwitz. 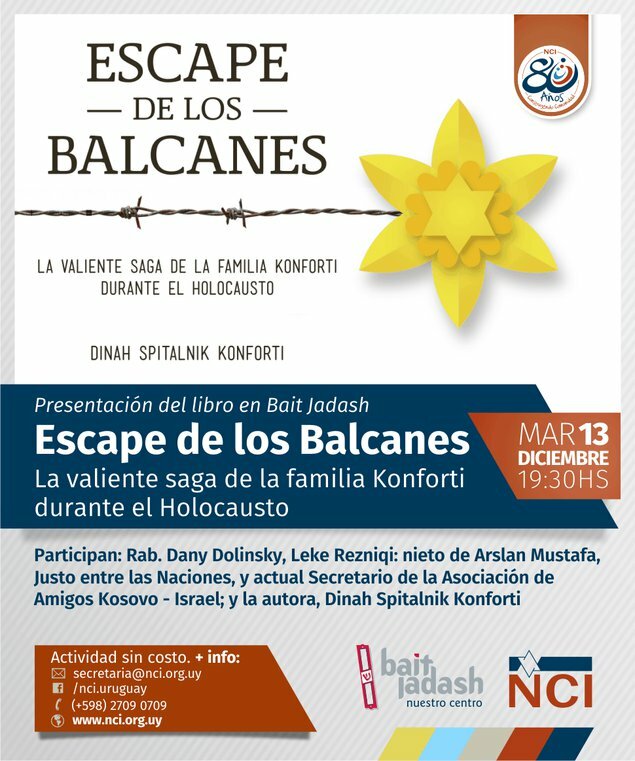 Escape from the Balkans will narrate the story of Jews from Macedonia. Differently of the majority of the Holocaust books and documentaries, mostly based on Eastern Europe deportation and genocide, fiction and biographies, this novel reveal how was the jewish life in the Balkans prior, during and after the How the Italians, the local Muslims and the Partisans had a strong role on the survival of the Jews that were able to move quickly from village to village, from Skopje to Decjan and Albania, prior to the massive deportation, under Nazi´s order, with the Bulgarian army assistance. It tells the story about the friendship and business partnership of jews and muslims, that settled the basis for what happen during the War. Hola a todos, les cuento que ya estoy escribiendo el epílogo. on April 10, 2016, 12:57 a.m.
Listo! ya ordene mi copia Ahora a esperar! on April 10, 2016, 11:52 p.m.
Sos una genia, muchas gracias! on April 12, 2016, 2:26 p.m.
on April 12, 2016, 3:03 p.m.
Muchos éxitos!!! Esperamos ansiosos el libro. on April 12, 2016, 5:15 p.m.
on April 12, 2016, 6:10 p.m.
TE DESEO EL MAYOR DE LOS EXITOS!!! on April 13, 2016, 12:22 a.m.
on April 13, 2016, 8:37 p.m.
Ansioso por leerlo, sobre todo habiendo conocido a los personajes. on April 18, 2016, 9:25 p.m.
Gracias a todos por sumarse! Thanks to all for being part of this! on April 20, 2016, 2:50 p.m.